Alex Hall is an advocate for cask ale in the U.S., based in New York City. 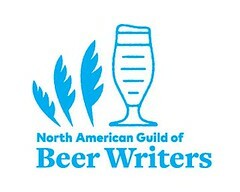 Here, he is interviewed by Barry Wasser, of the Brewed Palate, on cask ale fundamentals. There's a lot more to serving cask-conditioned beer properly than many publicans in the U.S. may realize. This is an excellent primer. Vent the beer well before serving it: one to two days or more. Tap and sample; wait for beer to condition and clear before serving. "It's always hands-on. You must never neglect a cask. Watch for clarity; don't put it on too early!" Possibly add finings. Constantly monitor the progress before and after serving. Pulling the beer up to the bar. "It's all manual." No extraneous gas. 12:10 Temperature, clarity, flavor. Casque Marque is a cask ale quality accreditation program in the U.K., which has now come to New York City and eastern Pennsylvania, thanks to Paul Pendyck of UK Brewing Supplies (located in Pennsylvania). Keep casks cool with wet towels, placed all around the cask, not just on the top, "like some sort of hat." Keep them wet! How a brewery fills a cask. Less than a quarter of U.S. breweries use finings to clarify the beer. A good pub cellarperson knows how and when to add finings. Low gravity beers can be surprisingly complex. British cask beers tend to be low-gravity. American cask beers are often much stronger, and often flavored within the cask. 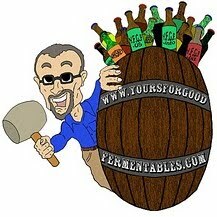 Alex Hall's website has a wealth of good information on cask ale and where to find it (throughout the U.S.): Gotham Imbiber. Follow on Twitter: @Imbiber. Fobbing at the Tut is a series on serving cask-conditioned beer and proper cellarmanship. SAVOR returns to Washington, D.C.
Birthday in Beer: Charlie Papazian turns 65. Pic(k) of the Week: This machine kills fascists. Grilled cheese AND a pint, to go! Pic(k) of the Week: So long, Nick Funnell!